While all BMWs wear the title “the Ultimate Driving Machine”, sometimes certain models need a bit of help for their driving dynamics to be as good as they can be – like the E70 BMW X5. 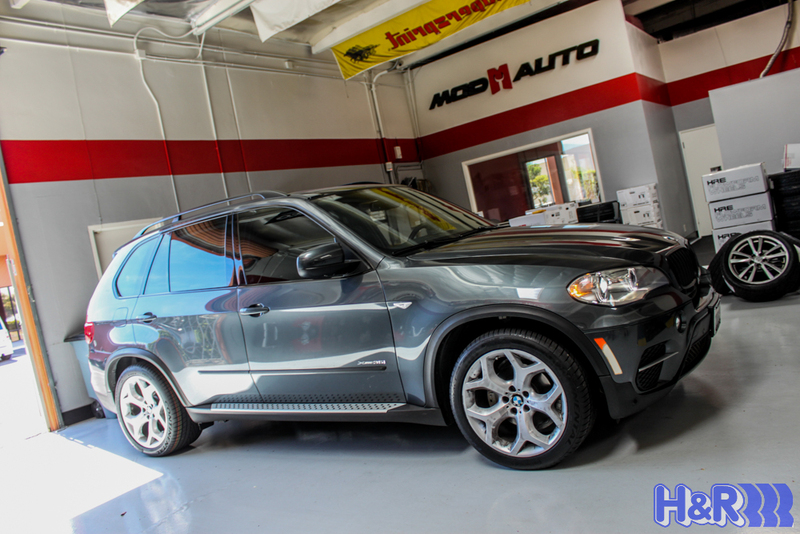 This X5 came in to see the Mod Experts to give the X5 Suspension a bit of a drop. The stock ride height leaves enough wheelgap for several cats to have a friggin party in the wheel well, leading to body roll and a less-stable feel than the car could have with a lower center of gravity. 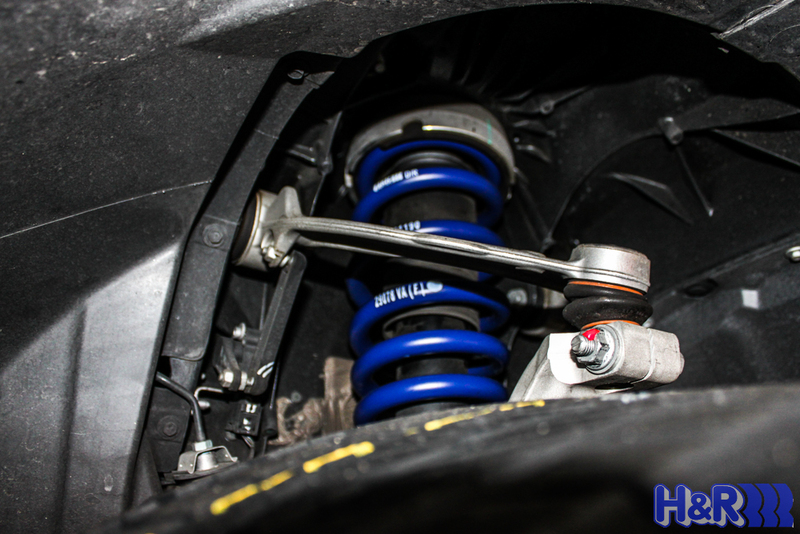 To drop the X5, the Mod Experts recommended an upgrade from H&R Springs. 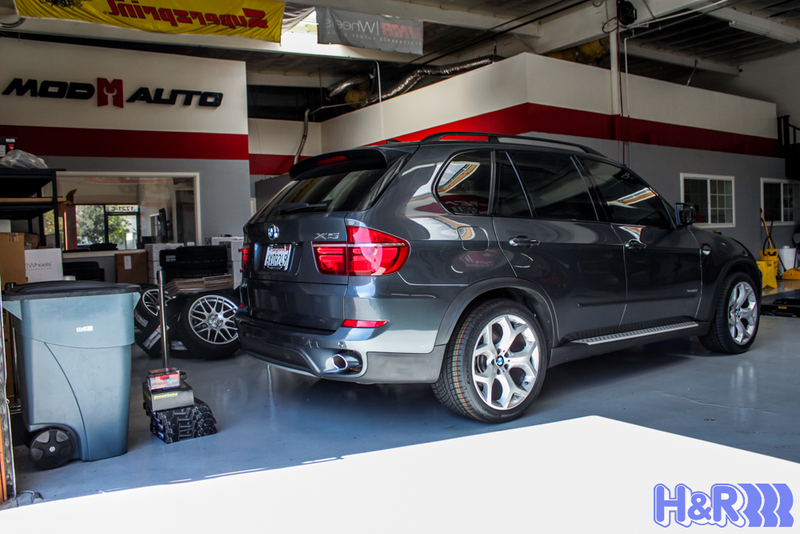 We installed a set of H&R Sport Springs for E70 BMW X5, which drops the X5 a whopping 2.0in up front and 1.2 in at the rear, giving the car a better look and much better handling performance. 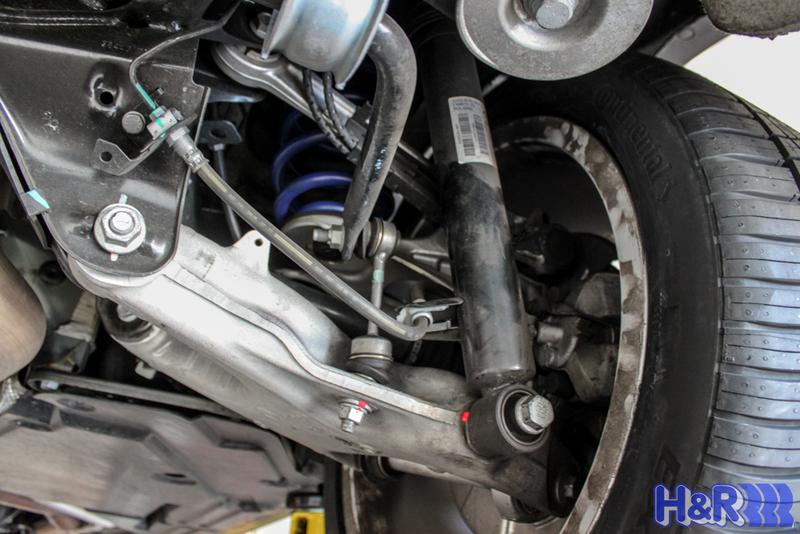 In the shot above, you can see how the front springs fit into the X5’s suspension. 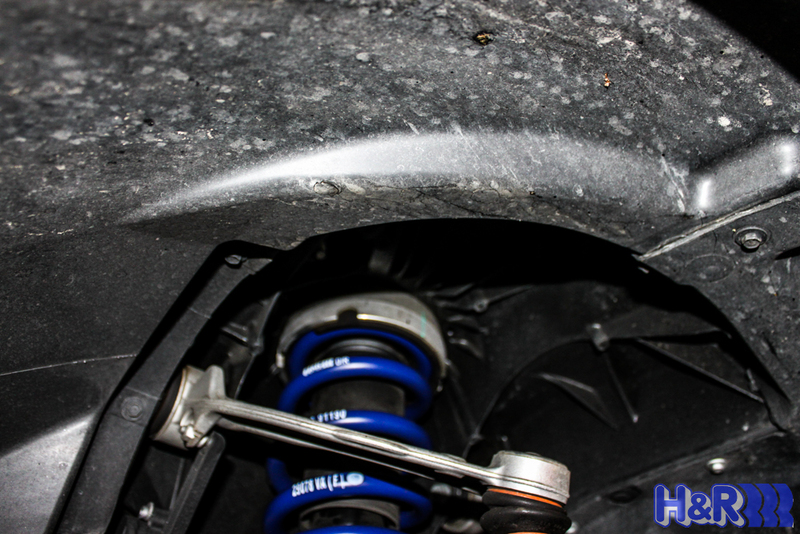 Here’s how the rear springs looked installed. After tightening everything up, all we had to do was sit back and admire our handiwork. From this angle you can see the wheelgap is now much more proportional with the rest of the car and the 2in drop is actually pretty conservative, leaving plenty of clearance to retain the X5’s usability as an “SUV”. We feel like this is the ride height the X5 should have had stock. Thanks for joining us, and we hope you enjoyed the photos. Interested in changing up the look and performance of your BMW E70 X5? 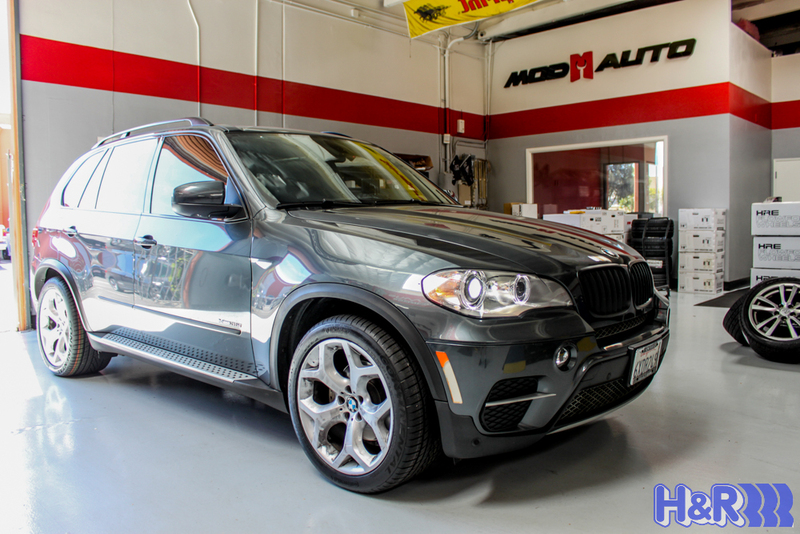 Ask the Mod Experts what X5 mods are available now to change the style of your ride. Call us at 714-582-3330 for expert car mod advice and schedule your installation at the Mod Auto shop today.